STUDENT VOLUNTEERS - 'Sign-Up Genius' is also the on-line sign-up method used for our STUDENT VOLUNTEERS. We like to have 3 STUDENT VOLUNTEERS each time the Food Pantry is open and 6 STUDENT VOLUNTEERS on Saturday, from 8:45am-12:00 noon. ALL STUDENTS MUST sign up in order to volunteer. We ask they sign themselves up using their e-mail address so they receive the automatic reminder and the communications from the Food Pantry. HIGH SCHOOL age STUDENTS are also welcome to sign up to help STOCK the Pantry on Wednesday and Friday afternoons. For students younger than Jr High (between ages 8 & 11) wanting to work in the pantry, they must come with a Trained Adult Volunteer. When signing up your younger student, please write their name and age in the 'Comment' section, on 'Sign-Up Genius' and leave the quantity number at (1). ONE younger child is allowed to work in the Pantry with ONE adult. If the child is Junior High/High School age, they MUST sign up on the STUDENT VOLUNTEER section on 'Sign-Up Genius'. PLEASE do NOT sign them up in the 'Comment Section'. 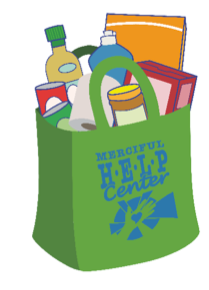 We have added STOCKING to our Food Pantry volunteer calendar. We have slots available on Wednesday and Friday afternoons. There is NO training necessary in order to sign up to STOCK in the Food Pantry, but you must be 16 years old or older. If you are over the age of 18 years, you must have completed the SAFE ENVIRONMENT TRAINING.